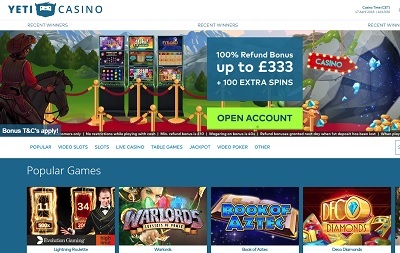 Yeti Casino is licensed by the UK Gambling Commission and the Malta Gaming Authority and offers 24/7 support via telephone, live chat and e-mail. Man, Yeti’s are so cool! Look at them with their humungous body’s, their silky smooth fur and their terrifying faces. Aren’t they just so badass? But is Yeti Casino as badass as the Yeti? Hmm, well not quite, but it’s still pretty decent. Aesthetically, it’s pretty plain. The layout is very standard, as are the images and the typeface, and the navigation isn’t particularly great either. Pages are easy enough to find, but finding further detail on the particularly shallow pages can be a tough search. Yeti offers most of the popular payment methods out there including Visa, Mastercard, Paysafecard, Skrill, Neteller, Felexepin and Bank Transfer. The minimum withdrawal and deposit amount is £20. The maximum deposit and withdrawal limit is £5,000 per transaction. 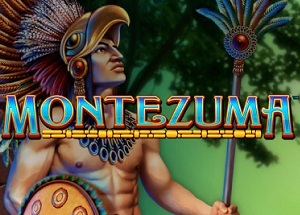 Yeti Casino is home to a very decent assortment of games including all the traditional tables classics, some great live casino games, the most popular slot titles like Starburst, Dead or Alive and Gonzo’s Quest, plus loads of fun, instant-win games too. 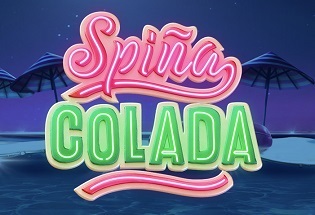 There’s also a host of high-paying, progressive slots like the millionaire-making Mega Moolah and Mega Fortune which are all handily labelled with the jackpot total at the bottom of the image. A lovely selection. Whereas the Yeti can only be described as legendary, Yeti Casino definitely can’t be. At least not yet. Navigationally and aesthetically, Yeti doesn’t do the best of jobs which doesn’t provide the greatest experience for the user. However, there is 24/7 customer support via telephone, e-mail and live chat, plus there is a fantastic selection of games out there to play including all the classics. Together with a lovely welcome bonus and a very good banking system, then it’s easy to see that once a few niggling issues have been ironed out, Yeti Casino can become as legendary as the Abominable Snowman himself.